Every three years we follow a theme based on which our various events are conducted. The details are displayed as posters and discussed in classes during circle time and life skills class. In the past we have had theme’s like Women empowerment, Volume-Kum, I- Clean, Core Values etc..
We have a conscious view of value acquisition and we are attempting to realise this through a multi-pronged approach. 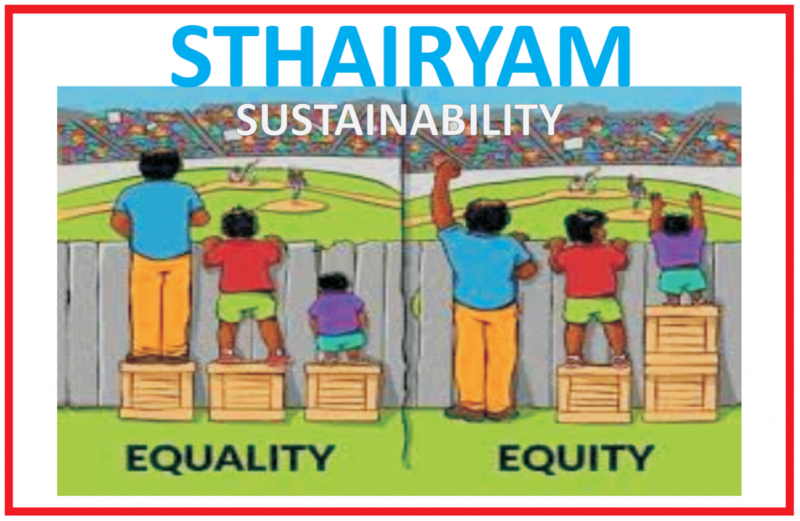 To create an awareness of their global responsibility, we have chosen Sustainability- Shtairyam, as our annual theme for this academic session. Students will debate and dissipate ideas regarding Sthairyam from the stand point of the environment, society and economy. We continue our last years Core values theme and it is propagated by an award system for students who embody the Deens Core values .